For eight years, The Scientist magazine has named the best laboratory and research products of the year. Their list of 2015 Top 10 Innovations includes a breakthrough product from Seahorse Bioscience, a part of Agilent Technologies. Seahorse is the leader in tools for cell metabolism research. Cell metabolism involves all of the physical and chemical processes that occur within a living cell. “Metabolic changes can have a huge impact on cellular systems,” says Seahorse’s Sierra Kent, Ph.D., associate product manager, consumables. 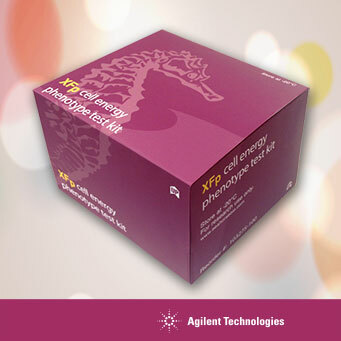 The Scientist Magazine recognized Seahorse’s XFp Cell Energy Phenotype Test Kit. Used with the Seahorse XFp Analyzer, the kit can simultaneously measure the utilization of each major energy pathway of a cell. Mitochondrial respiration and glycolysis are first measured under starting medium conditions, and then upon injection of a stressor mix that induces an energy demand. Researchers can then easily compare these traits (or “phenotypes”) across different cell types and treatment conditions. This single one-hour test is helping scientists gain a better understanding of diseases and how to treat them.